Please don't be offended by the questions you are asked about your experience with, or the living conditions and general management practice of, goats. It is not to challenge you or insult you or your background - you may have 30 or more years behind you, but, if I don't know you, I won't know that. 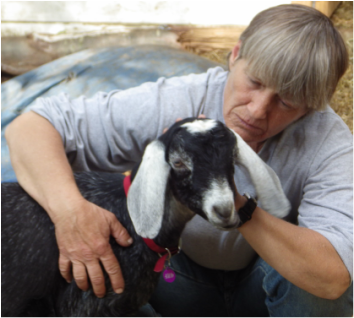 Being an animal lover is wonderful, but a long way off from understanding the complexities of caring for a dairy goat and ensuring a long, happy and productive relationship. If you have experience and an understanding, be glad that the seller you are talking to cares enough about their animals and program to ensure they go to the right home. And be satisfied that they want you to be successful too! Not all breeds and programs are the same - and to put one of my charges into the care of one I have not asked the basic questions of, is as bad as putting your human child into the hands of a stranger - worse, even, since once my charge leaves me, I lose all control and oversight to their future. These "kids" have been in development for years - and all deserve the best opportunity they can get. 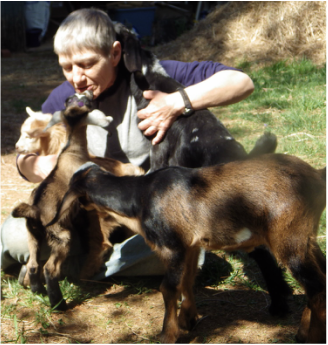 So, before you get offended when I ask if you have had goats, have shelter, have a vet, know what they eat... Would you send something that took you years accomplish into the unknown?